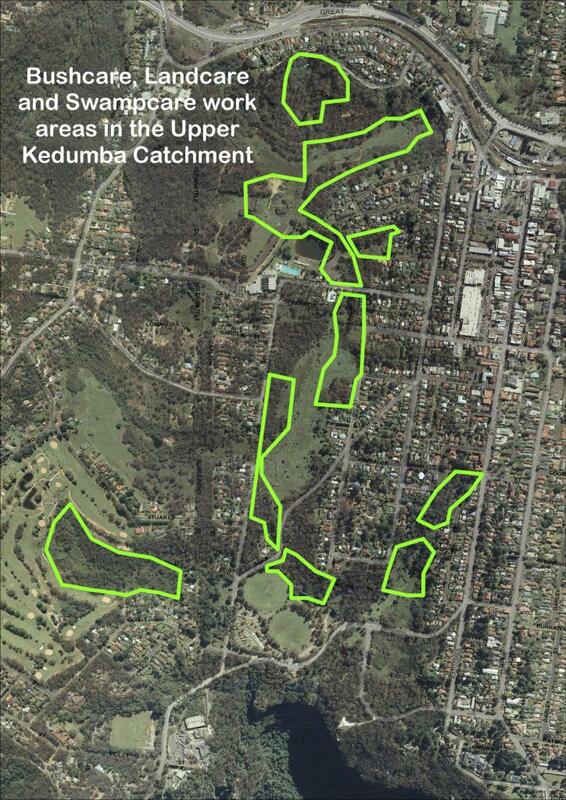 In September 2012 the Bushcare Groups that work in the upper catchment of the Kedumba River — The Gully — Katoomba, held their first annual Combined Catchment Day. The purpose was to enable all the groups in that water catchment (the area that catches the rain water that drains over Katoomba Falls into the Kedumba River) to come together to meet each other, find out what other Bushcarers are up to and do some Bushcare together. 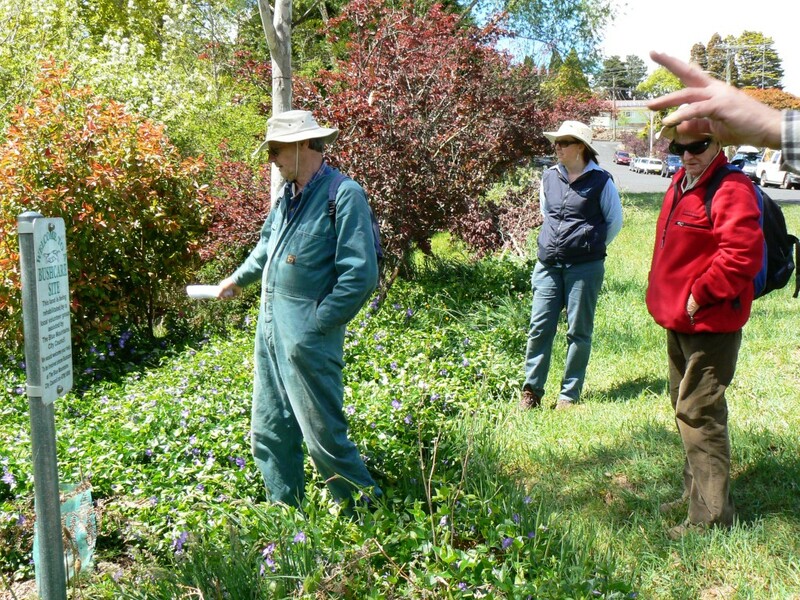 This first combined Bushcare day was hosted by the Gargaree Swampcare Group, the youngest of the groups. Representatives of all five groups met at the Gully Heritage Centre in Gates Ave and were treated to a sneak preview of the new ‘Keeping Place’ which is now housed there. 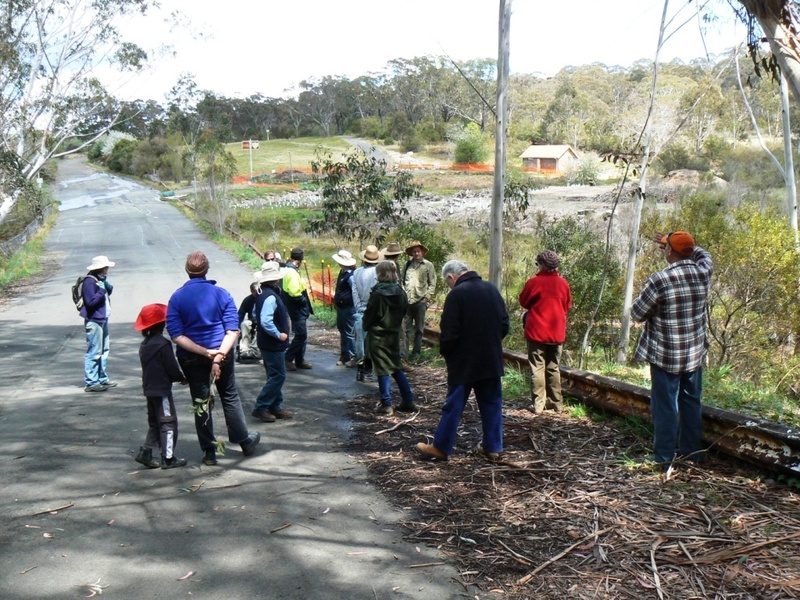 Sharyn Halls gave us a presentation on the history of the Gully before leading us on a short walk to the newly constructed walking track around the Blue Mountains Swamp which is the focus of the Group’s work. Their efforts are supported by significant contracted bush regeneration work funded by grants the Group has obtained through the Hawkesbury Nepean Catchment Management Authority/Caring for our Country programs. We enjoyed some delicious food before everyone gathered around to introduce ourselves properly. 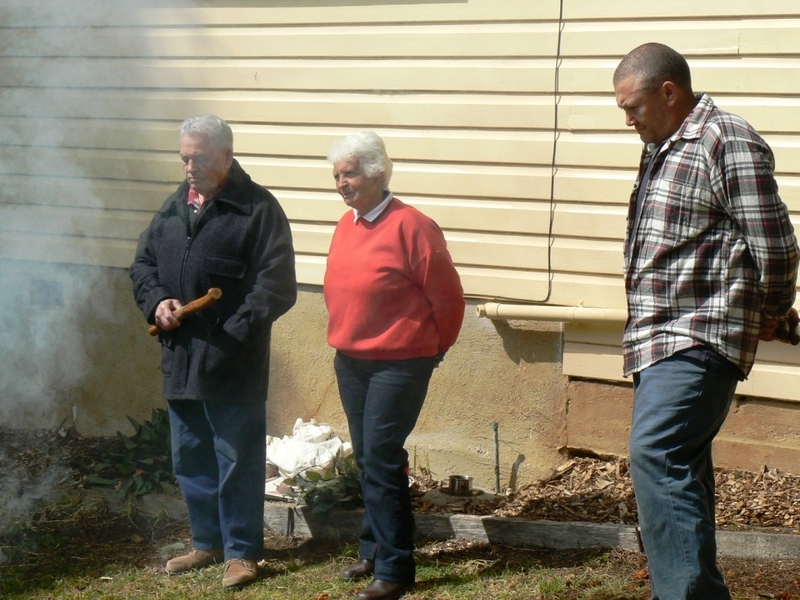 This was made all the more memorable when David King presented two Meeting Sticks: one to the Gundungurra elders for the Heritage Centre and one that he had made and painted especially for this group meeting. The stick was passed around to be held by the person speaking, and seemed to encourage everyone to talk about their involvement in Bushcare. I, for one, was moved by the significance of David’s gesture and look forward to using the meeting stick again next year, when we hope one of the other Gully Bushcare Groups can host a similar get together. We then walked five minutes up Pine St where David Rae, the Upper Kedumba Bushcare Group’s Community Co-ordinator showed us their work site and discussed their plans. And then — after all that talking — time for some Bushcare! A number of people pitched in to follow up work done earlier by the other two Gully groups and attack some mature privets and cotoneasters in the picnic area opposite the Gully Heritage Centre. As we Bushcarers all know, Bushcare is just as much about connecting with people as it is about protecting the environment. The Gully has always been a popular place for people to gather and with such a rich cultural history, combined with significant environmental features. It’s no wonder it continues to attract people to care for it and keep it alive.